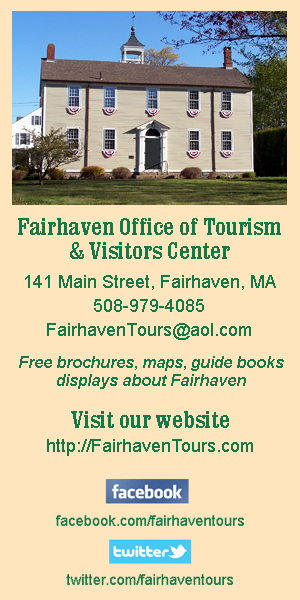 The Millicent Library’s current exhibits include paintings by Fairhaven watercolor artist, Jack Daly. They are on show at the ends of the stacks behind the circulation desk. In the Rogers Room showcase, there is a display of items that have been donated to the library, but are generally tucked away in storage or in the archives. We want to show the variety of historical and other items that have generously been given to us. Most of the art objects in the Rogers Room were donated to the Library. The Millicent Library is at 45 Center Street, Fairhaven, MA 02719. It is wheelchair accessible at the Walnut Street entrance. Call 508-992-5342.